Elaine grew up in Fawcett, and still resides today with her husband where they raise quarter horses (Sunny Lane Quarter Horses). 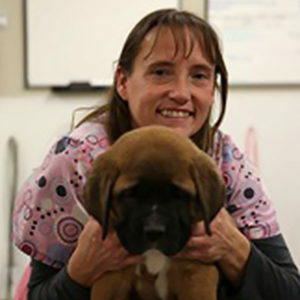 She has three children, one of which is Harley, who works at the clinic as an AHT. Prior to becoming a clinic assistant, Elaine worked as a TA for 20+ years.